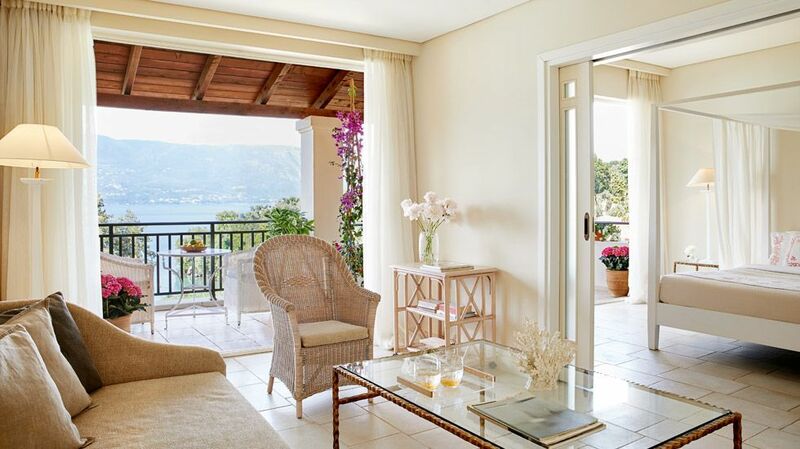 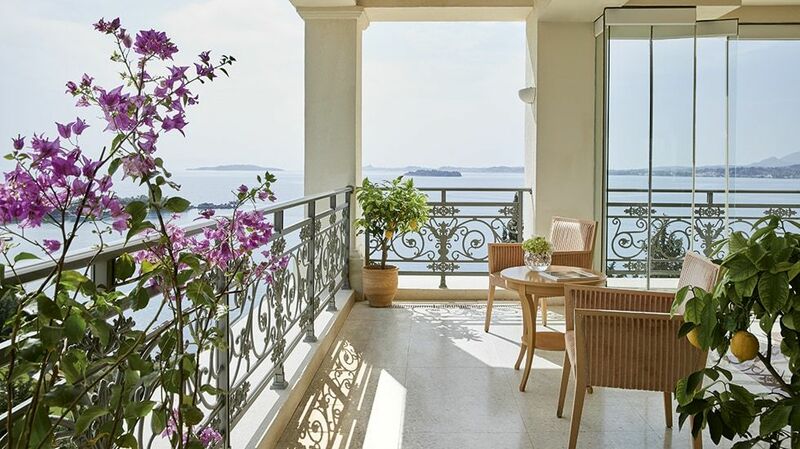 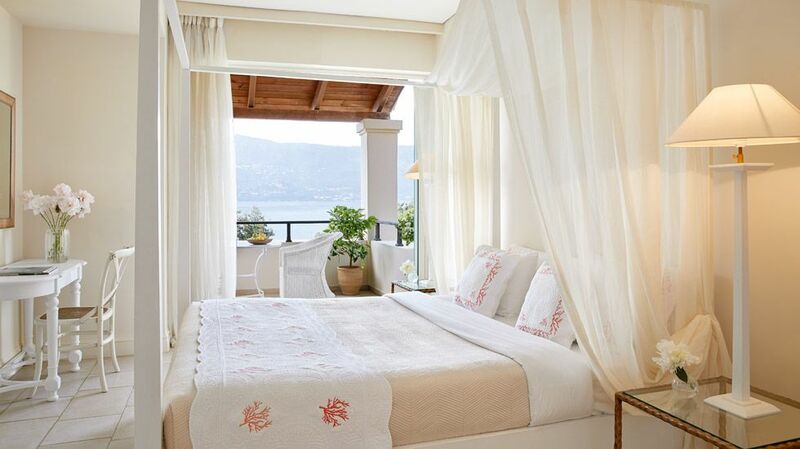 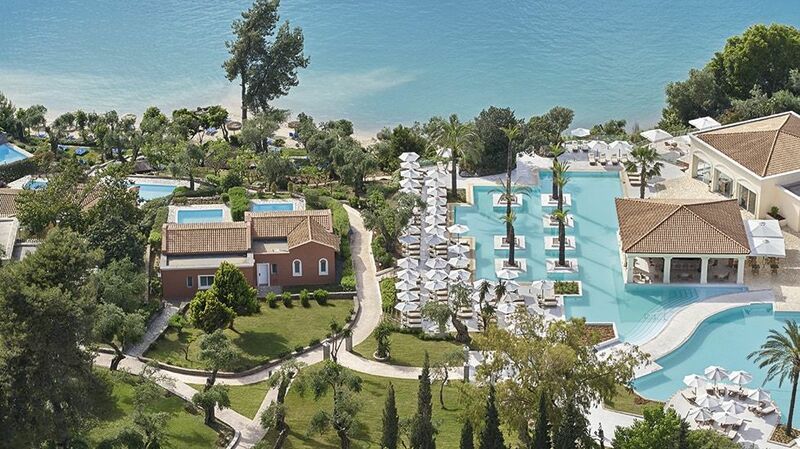 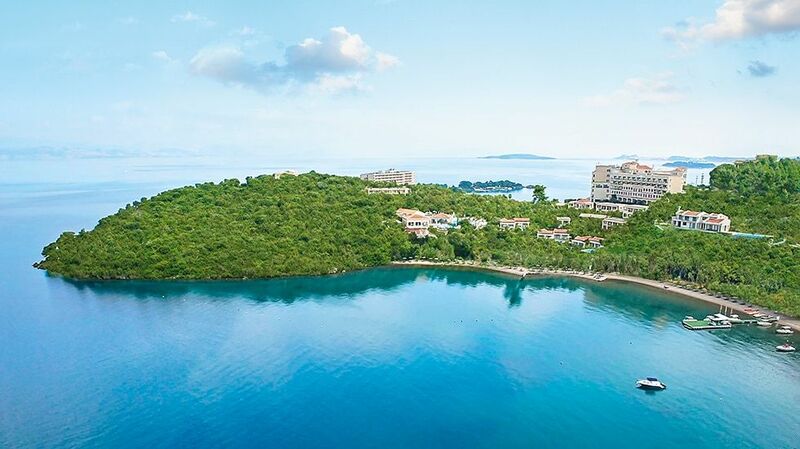 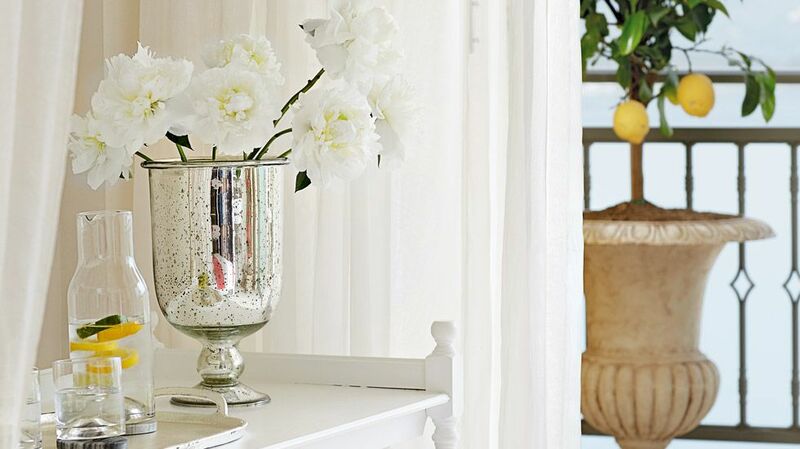 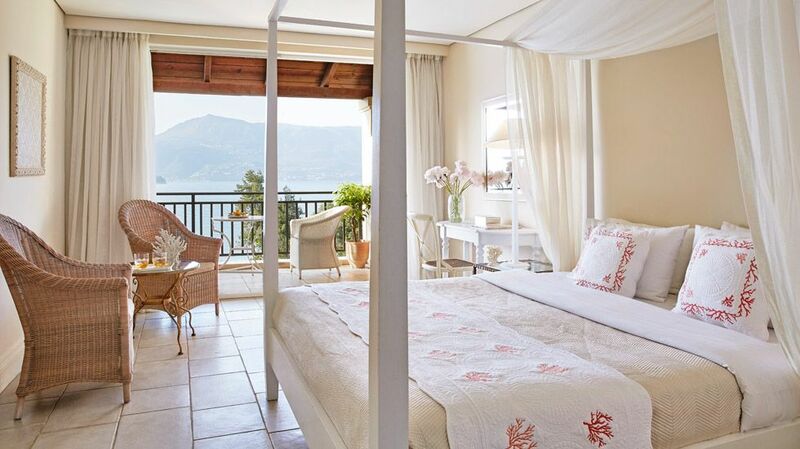 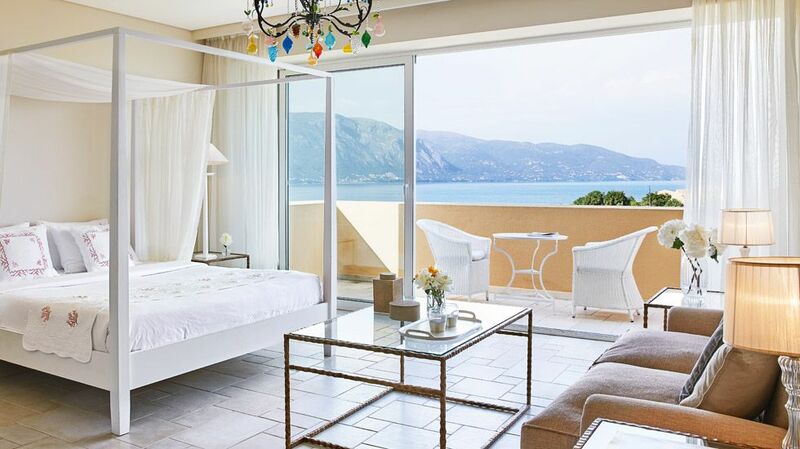 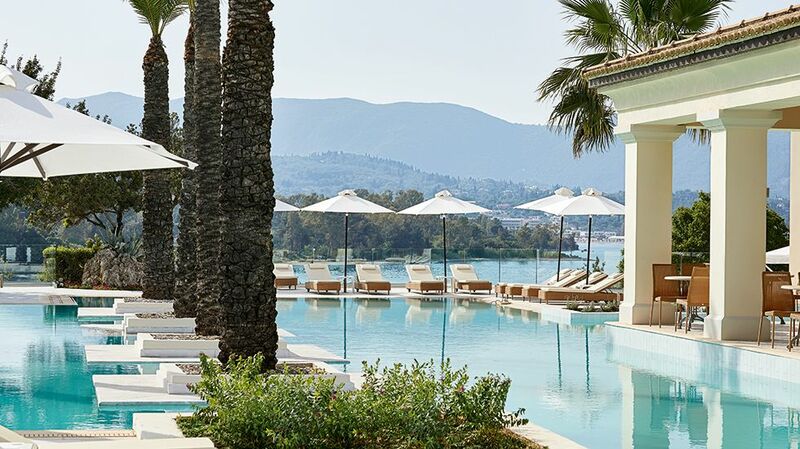 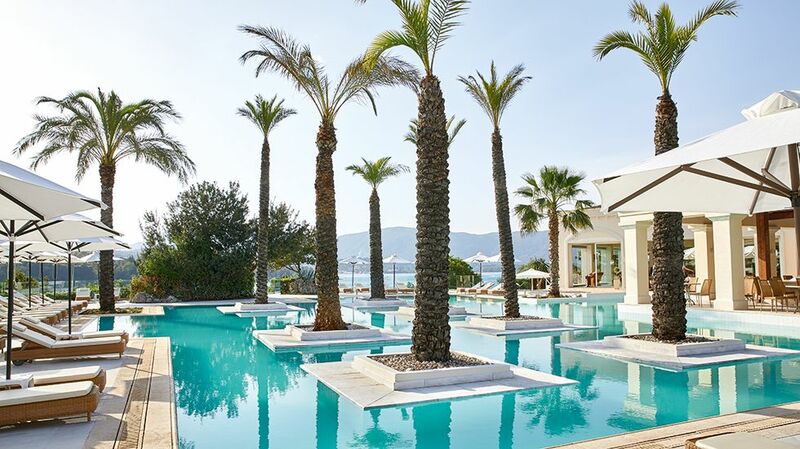 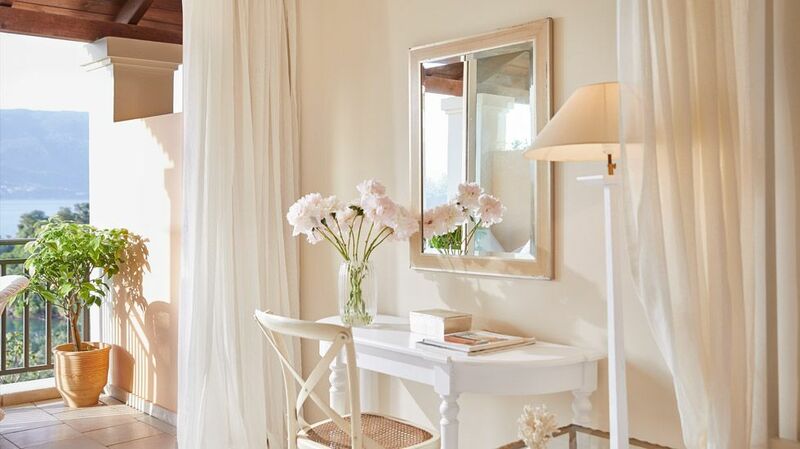 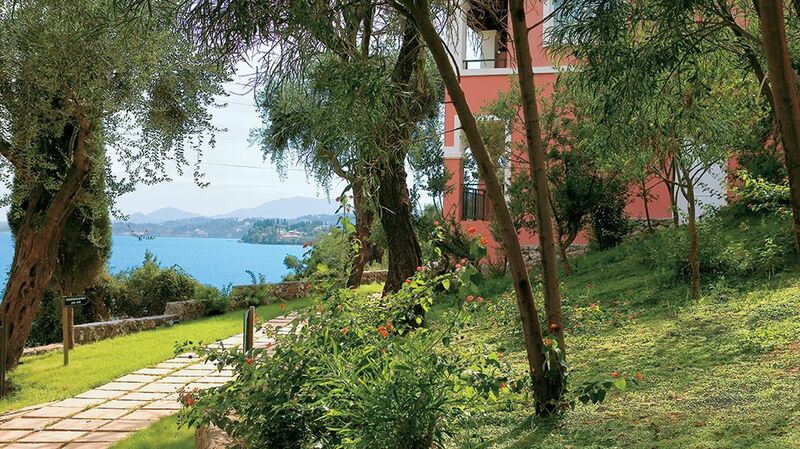 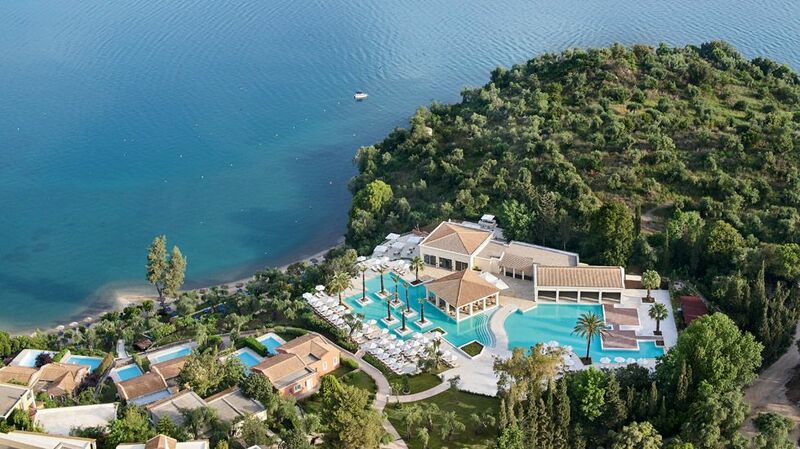 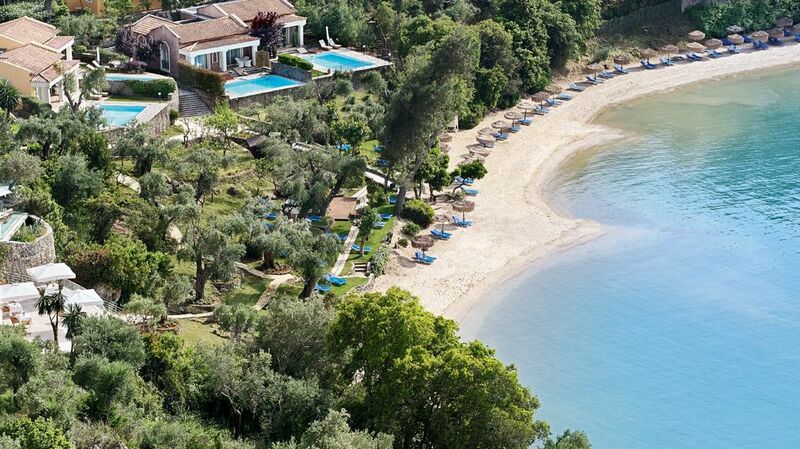 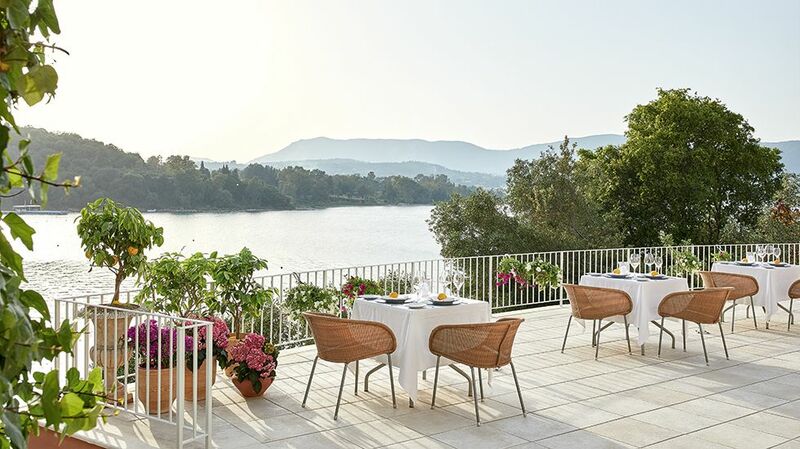 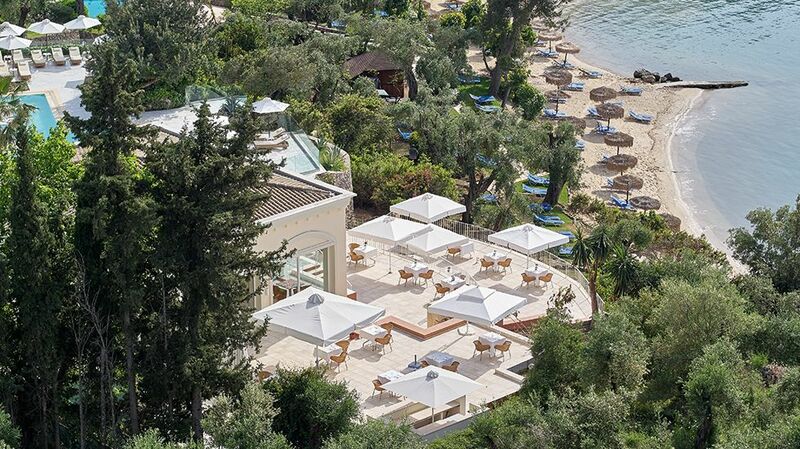 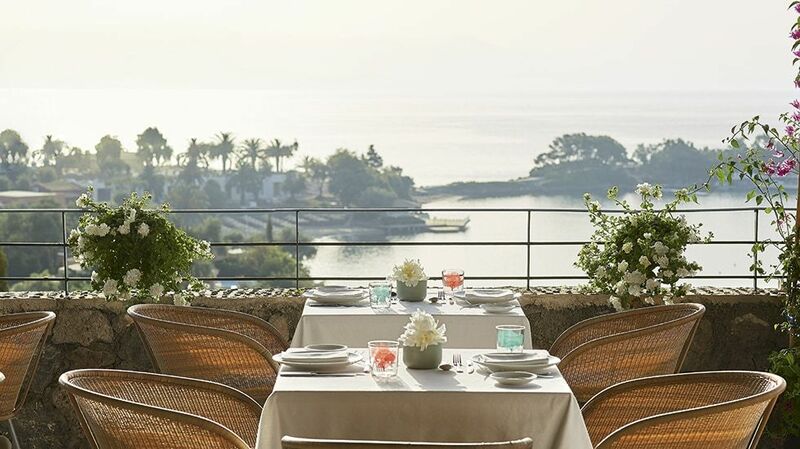 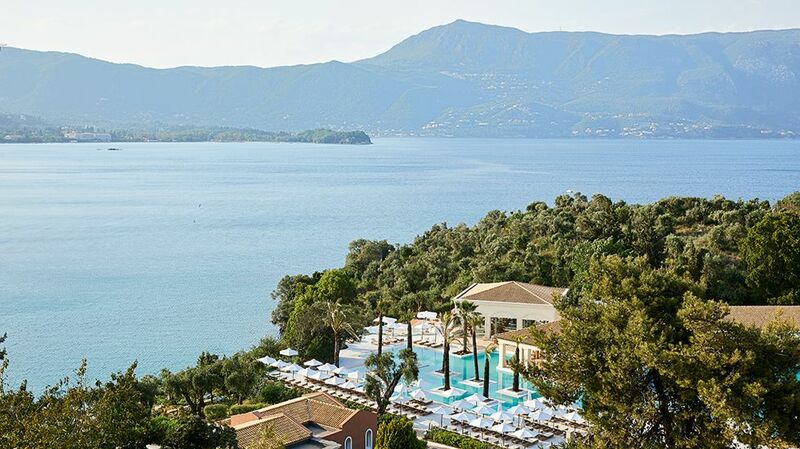 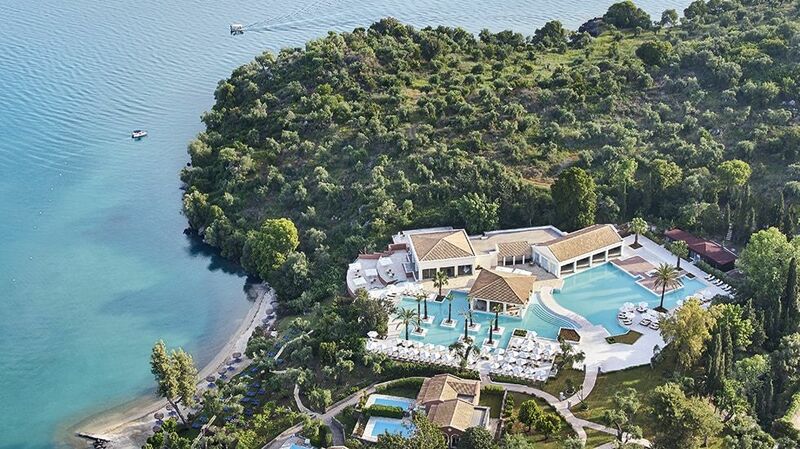 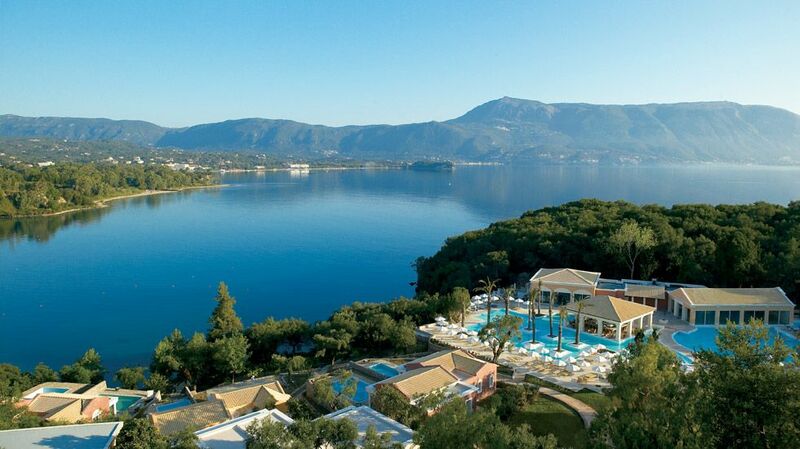 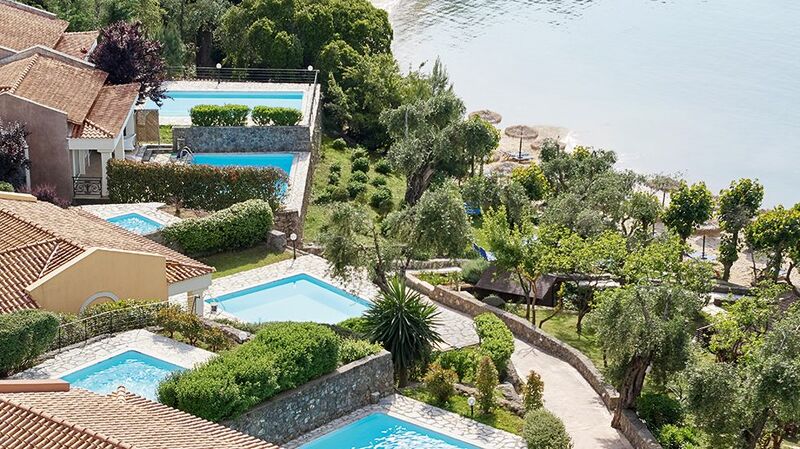 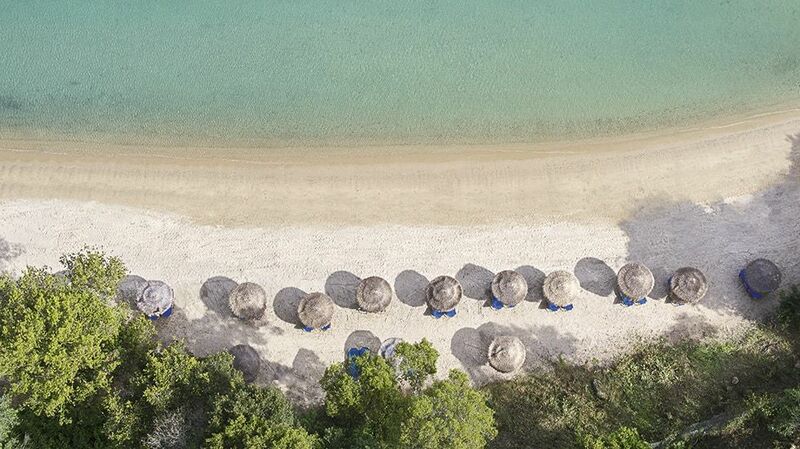 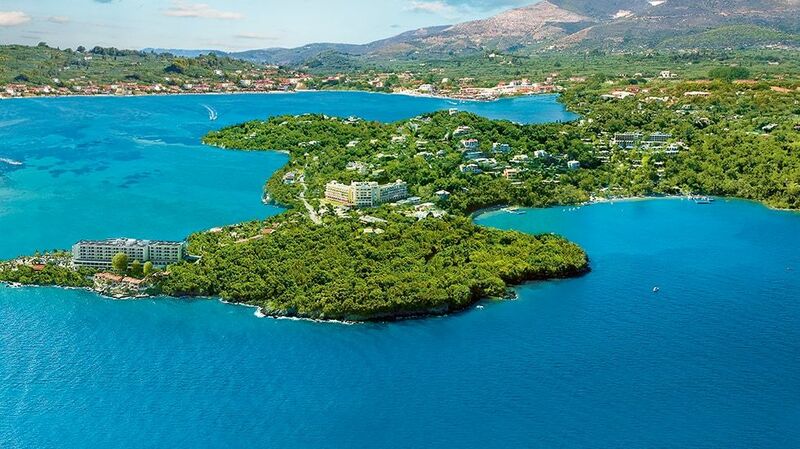 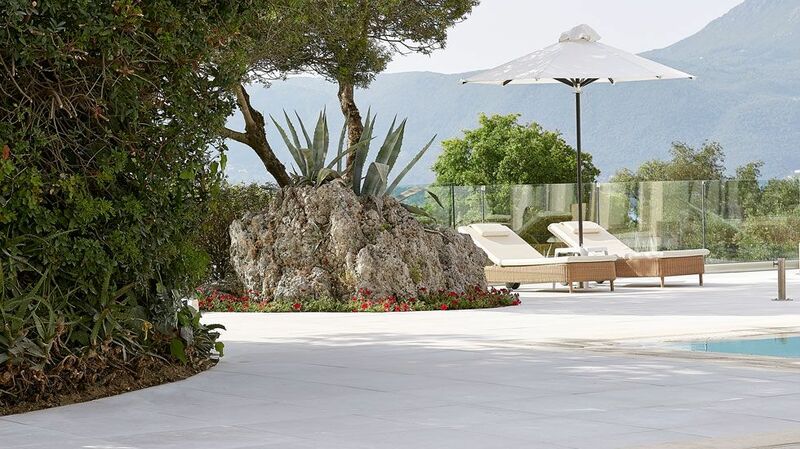 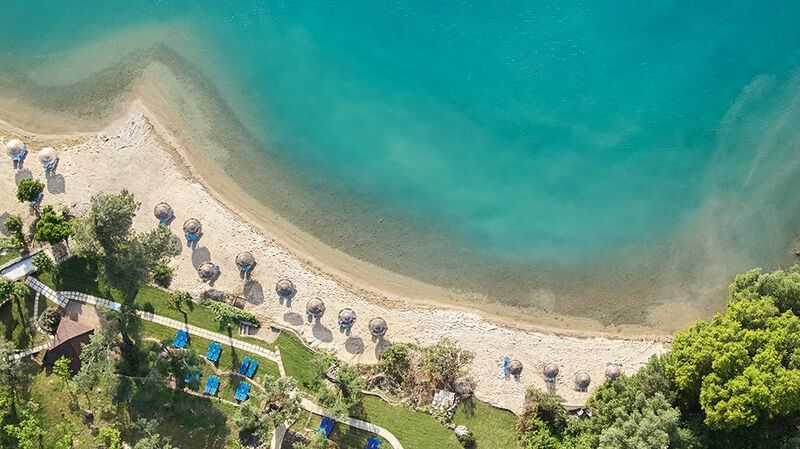 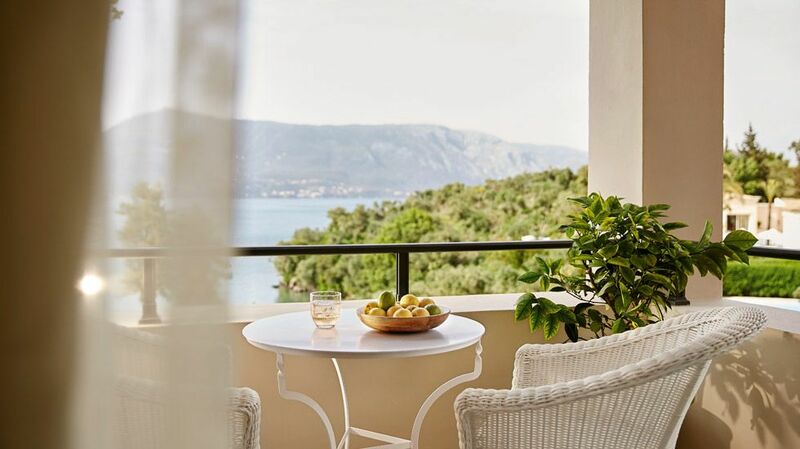 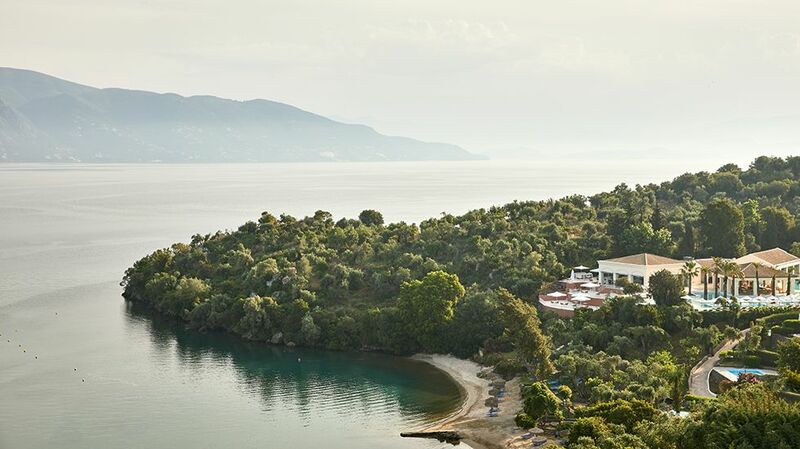 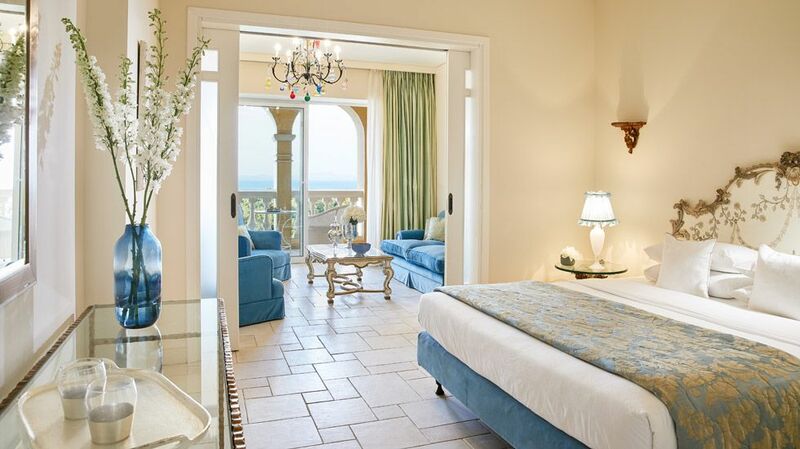 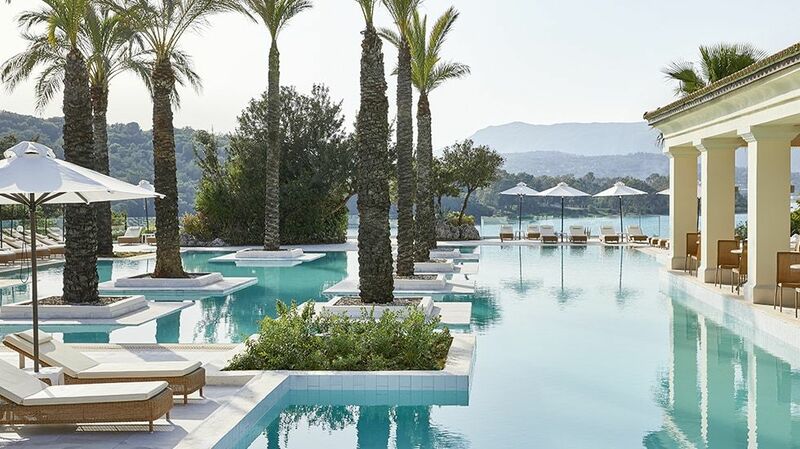 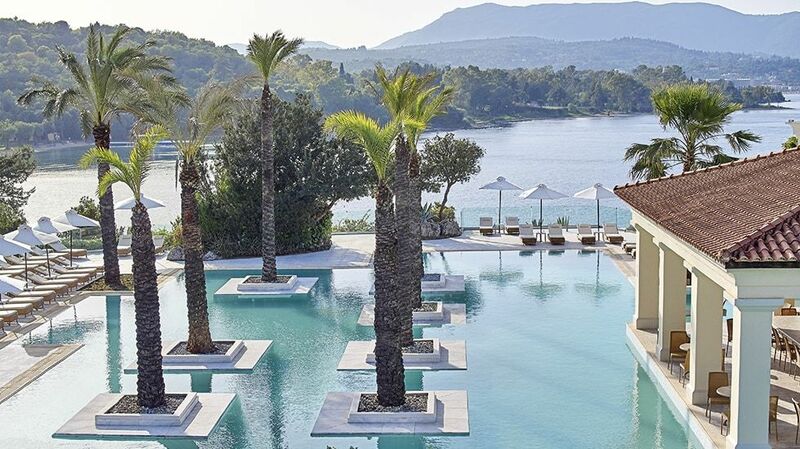 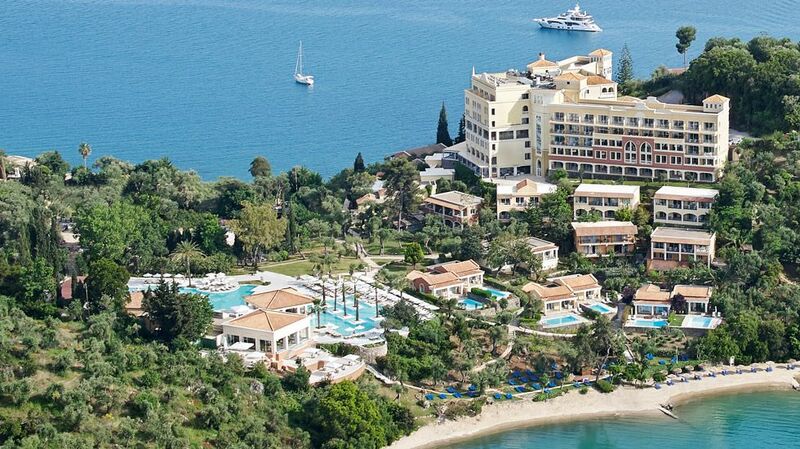 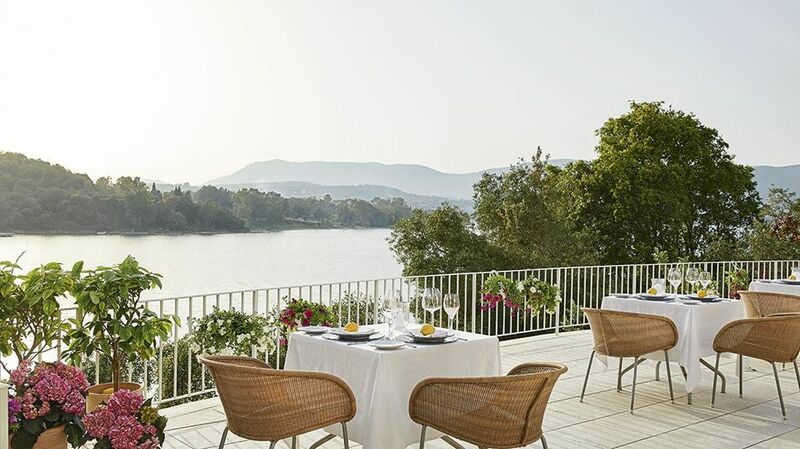 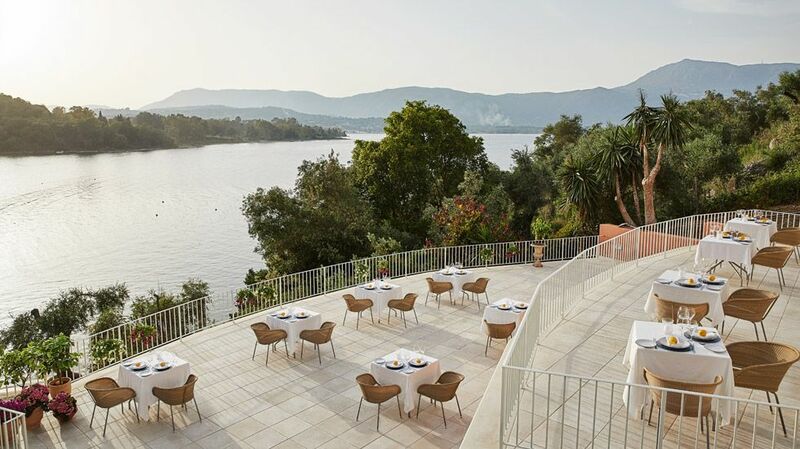 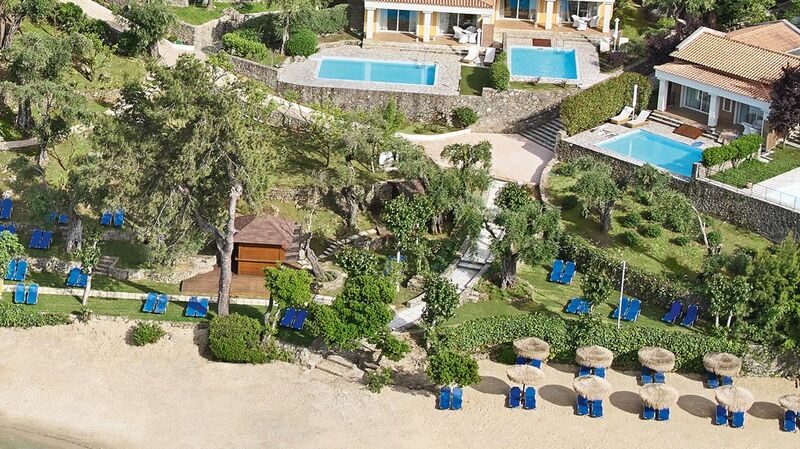 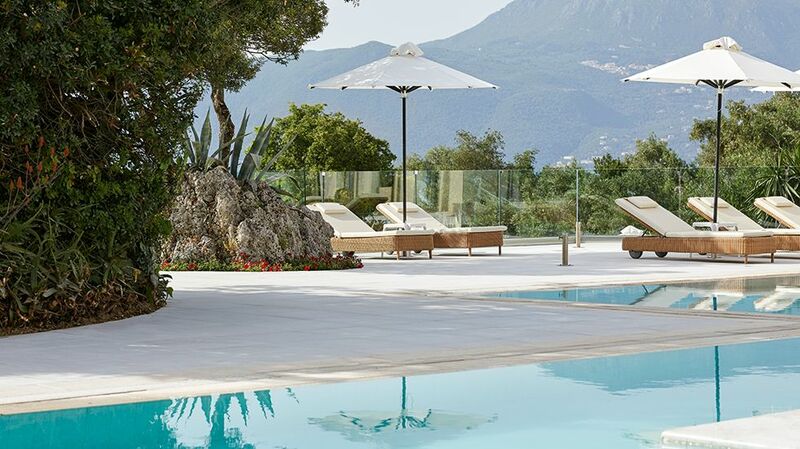 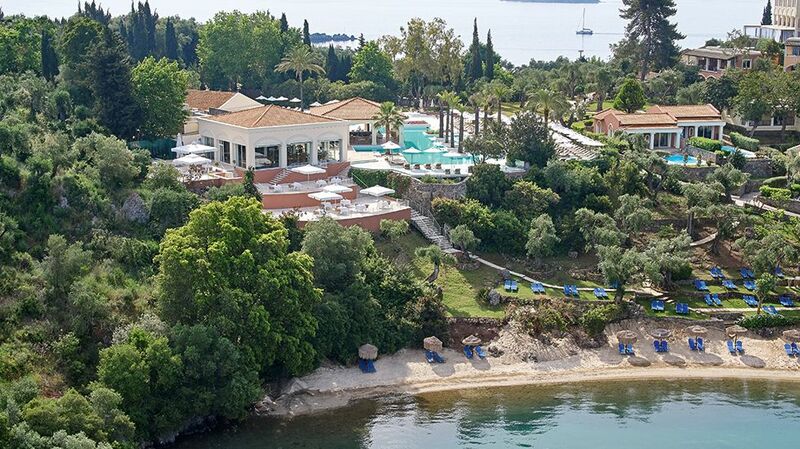 The Grecotel Eva Palace nestles at the foot of the Kommeno peninsula just 10 kilometres from Corfu Town. 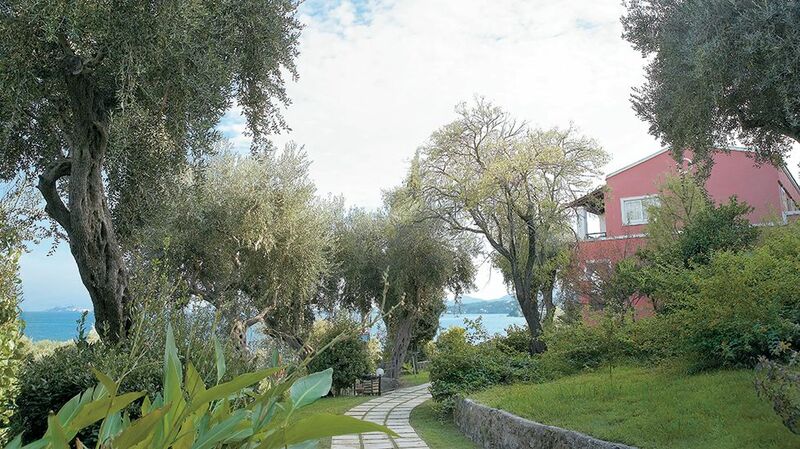 The excellent service, choice of accommodation in the main building or garden bungalows, peaceful location and established shady gardens make this hotel the ideal choice for couples of all ages. 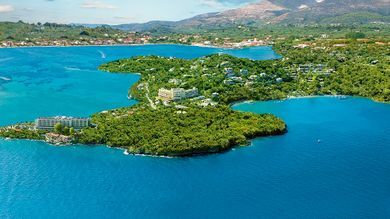 The main building has views of the pretty coastal villages and small islands that dot the Ionian Sea between Corfu and Mainland. 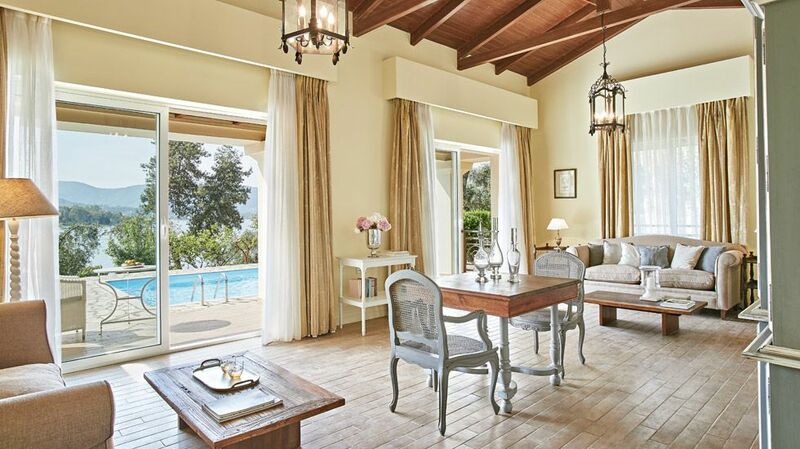 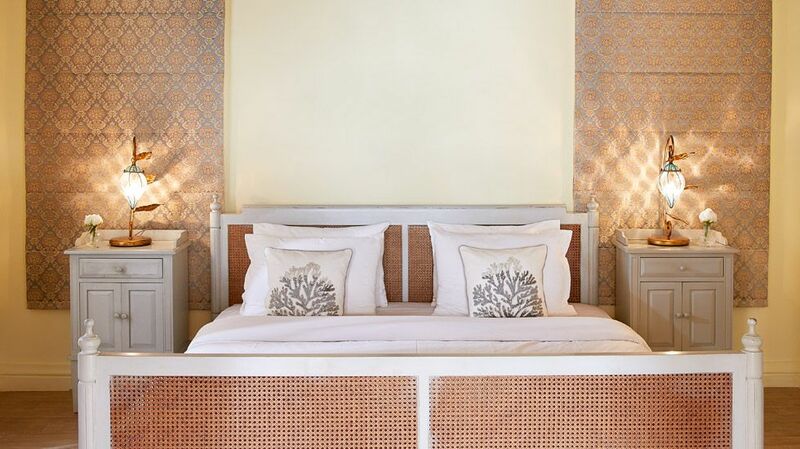 The bungalows are situated in the gardens, resplendent with olive trees and tropical vegetation. 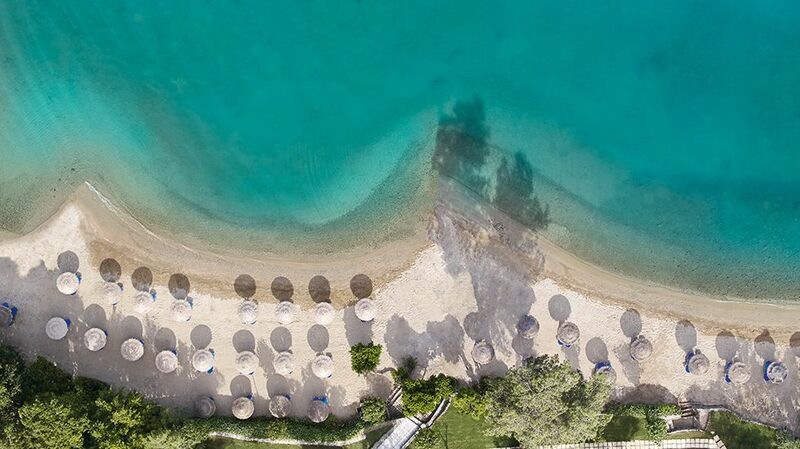 Chidren under 18 years are permitted only during a designated period within high season (dates vary each year). 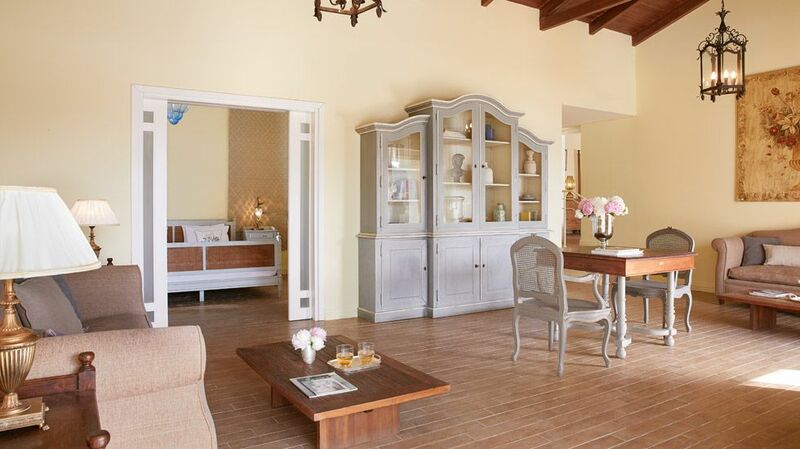 Our property operates from 6 Apr to 28 Oct.